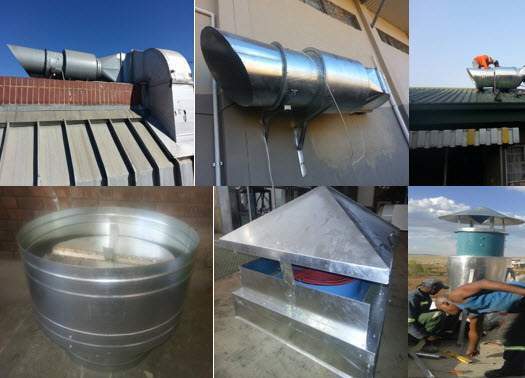 Sm SysTems manufacture supply and install vertical dischargers, horizontal dischargers / blow-offs and rain cowls. This is one of the few products that Sm SysTems fabricate. The products are very much imperative to be installed in the process of installation outside the building after the whole installation is done. The purpose is to ensure that water does not get into the building through the ducting system that is running inside the building. These products can be fabricated in galvanize, stainless steel or mild steel and the come with a wire mesh which assist in keeping the birds away from getting through the system.